Support your local Eco Community Library. Crofton Park is a community library, which means the can’t do as much as other librarys can. The staff here are SUPER kind and there is a café, just in case you eat a bit nippy. The sale books and put some of the money, to charity (which is very nice of them.) And you can make your own donations by the Café in a jar. So come down to this heart-warming library to pop in. 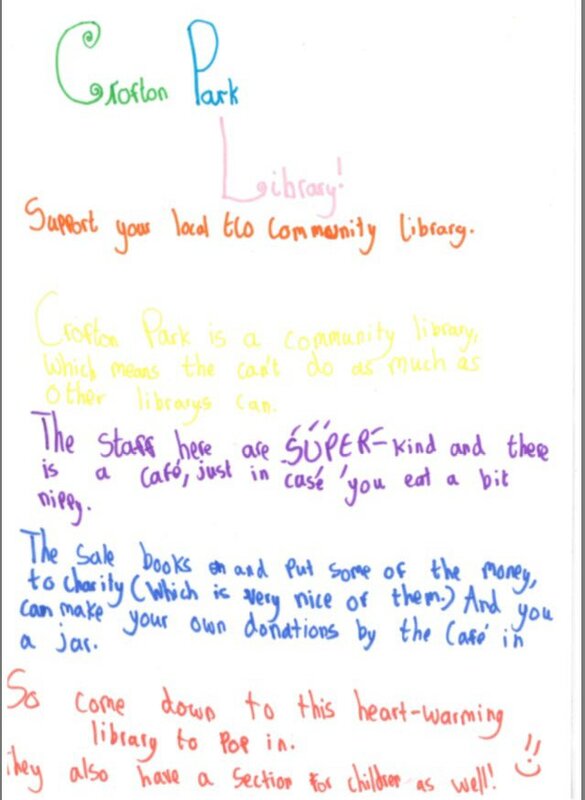 On behalf of the staff and volunteers at Crofton Park Library and Eco Communities we all thank this child for their wonderful letter.